The daylong festival will feature a number of workshops and talks aimed at industry professionals, students, practitioners, and anyone else interested in the future of reading and writing. Please register for attendance at http://bit.ly/ambientfest. Tom Abba will lead a production and process workshop aimed at writers, publishing professionals, designers and commissioners who are interested in working with situated storytelling. Based on the forthcoming Ambient Literature Toolkit, this workshop will demystify the production process, and explore how Ambient works speak to readers, writers and the city space itself. Duncan Speakman’s It Must Have Been Dark By Then is a book and audio experience that uses a mixture of evocative music, narration and field recording to bring you stories of changing environments, from the swamplands of Louisiana, to empty Latvian villages and the edge of the Tunisian Sahara. Unlike many audio guides, there is no preset route, the software builds a unique map for each person’s experience. Join Duncan and Tineke De Meyer for a masterclass in experience design, as they take you into the process of designing, writing, and creating this extraordinary work. 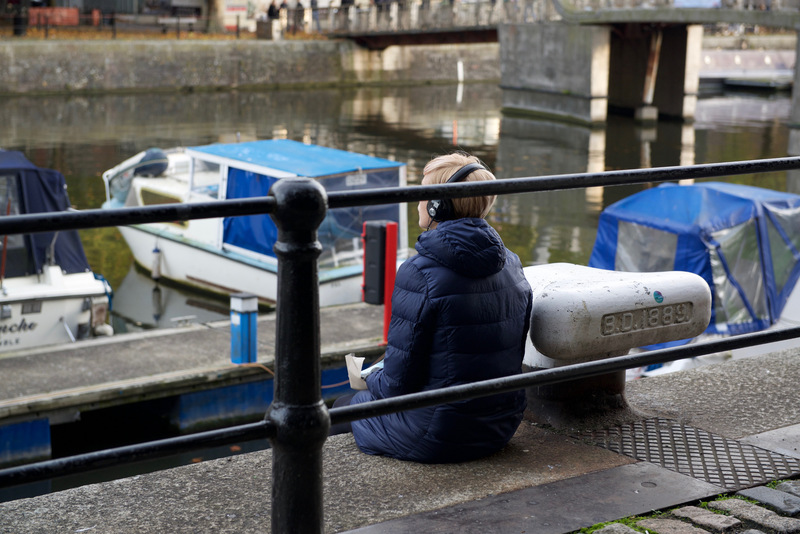 Kate Pullinger’s Breathe was one of the pieces commissioned as part of the Ambient Literature project. In this workshop, Pullinger will lead participants through the process of writing Breathe and the collaboration with Editions at Play (itself a collaboration between Google Creative Lab Sydney and London-based publisher Visual Editions) that allowed the book to come to life. Pullinger will discuss writing for digital platforms, including writing conditional text, and what it means to create literature that is digitally mediated. This workshop gives the opportunity to walk the streets of London and experience the The Cartographer’s Confession, guided by its writer James Attlee and producer Emma Whittaker. Learn about the making of the app as you visit the sites featured in the narrative with its creators. Winner of The New Media Writing Prize 2017, The Cartographer’s Confession combines fiction and non-fiction, imagined and real locations, to create a story of migration, loss, betrayal and retribution. Featuring 3D soundscapes and a bespoke musical score by The Night Sky. More details can be found here.